Mon., Aug. 6, 2018, 12:32 p.m.
LOS ANGELES – UCLA has landed forward Shareef O’Neal. The son of retired NBA great Shaquille O’Neal signed a grant-in-aid to attend UCLA this fall. He will enroll in summer school this month. The 6-foot-10, 220-pounder from Los Angeles played the last two seasons at Crossroads High in nearby Santa Monica. As a senior last season, O’Neal helped the school win the CIF Division II state title for the first time since 1997. He had 29 points, 17 rebounds and five blocks in the title game. 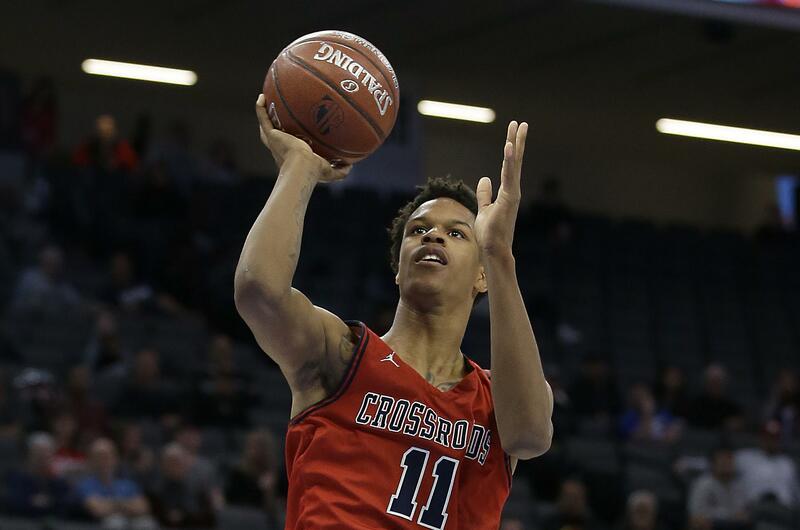 O’Neal averaged 27 points as a senior while Crossroads finished with a 25-9 record. O’Neal joins fellow freshmen Jules Bernard, Moses Brown, Tyger Campbell, Kenneth Nwuba and David Singleton in UCLA’s incoming class. Shaquille O’Neal starred at LSU before going on to the NBA, where he won four championships including three with the Los Angeles Lakers. Published: Aug. 6, 2018, 12:32 p.m.